Welcome back to the Muslim Convert Channel! 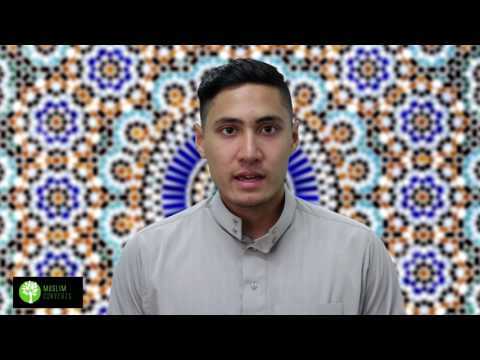 In this lesson, we will look into the nature of the Qur’an. We will look at who revealed it, and how it was revealed. We are also going to look at the purpose and aim of the Qur’an, as well as outside factors that enable the Qur’an’s aims of guiding humankind to be realized. "I saw the Messenger of Allah - upon whom be God's peace and benedictions - in the course of his hajj pilgrimage on the day of ‘Arafah. The Prophet (S) was seated on his camel [named] al-­Qaswa', and was delivering a sermon. I heard him say: 'O people, I am leaving among you that which if you hold on to you shall never go astray: the Book of Allah and my kindred, my household." Obviously it’s the words of someone else. The Qur’an functions in the same way, the words of God were delivered to the Prophet Muhammad (s) via the archangel Gabriel. The Prophet simply recited them to the people. The Qur’an sometimes seems confusing to some people. Unlike many sections of the Bible, it’s not really recounting stories from beginning to end, nor is it a straight forward philosophy book with a beginning, end and a conclusion. Furthermore, it is often claimed that the Qur’an, that is, the physical book which we hold in our hands, contains all of the information of the world. Yet when someone takes a look at the book (which is of average size) one realizes that this is a claim that is hard to believe. It’s not that Islam is making these claims, but it is simply a misunderstanding. The Qur’an is a book of guidance. It contains all the central principals for the guidance of humankind. The book here is in reference to al-lawh al-mahfūz, a divine tablet or book and not necessarily the Qur’an. This book contains knowledge of everything in the world and is different from physical Qur'an that we have in our hands. The Qur’an is therefore a book of guidance for humankind. It contains all the central principals and guidelines we need in order to reach the salvation both as individuals and a collective Muslim community. In this sense, the Qur’an therefore acts like a constitution, that is, a guiding framework for our lives for avoiding sin, doing good works, having good manners and ultimately finding faith in God and success in the Hereafter. The Qur’an is therefore not some super encyclopedia that contains all the details of the world. You wont', for example, find knowledge of computer programming in the Qur'an! Many chapters and verses in the Qur’an are mixed and in non-chronological order. Topics do not always follow one another either. The reason for this is to make guidance easier. By reading a chapter, or part of a chapter, an individual reader will come across a variety of subjects thus giving him or her a good platform concerning how to lead the religious life. Not many people will read the Qur’an from beginning to end. The Qur’an therefore solves this problem by putting many subjects within a small space where even the shortest read will give you ample information. Now obviously people today tend to differ about the Qur’an even while claiming to follow the Prophet (s). This is because not everything that was related from the Prophet (s) was actually uttered by him. Many people actively worked to distort his teachings about the Qur’an. This is why Allah implemented a safety mechanism, that is, the Imams of the Ahl al-Bayt (as), as a second set of teachers who would preserve the Prophet Muhammad’s teachings about Islam and the Qur’an. So what does all of this mean? The Qur’an is a framework and constitution of guidance for humankind. The Prophet (s) is the teacher and explainer of the Qur’an. He also puts it into action. However, the Prophet’s (s) teachings may also get distorted by people of ill intention, so his Ahl al-Bayt (as) are the source of the Prophet’s authentic teachings about Islam and the Qur’an. They are also the perfect examples on how to put Islam and the Qur’an in action. One of the last days of the Prophet where he delivered a sermon about following the Qur’an and his Ahl al-Bayt (as) sources of divine guidance and salvation. Is the Qur’an the literal word of God, or simply the divinely inspired teachings of the Prophet Muhammad (s)? What’s the point of the Qur’an, what is it trying to do? Guide mankind to salvation in the Hereafter. Is the Qur’an alone enough for us? No, it needs teachers that are appointed by its author (Allah). Who are the teachers of the Qur’an? Is all knowledge in the Qur’an?